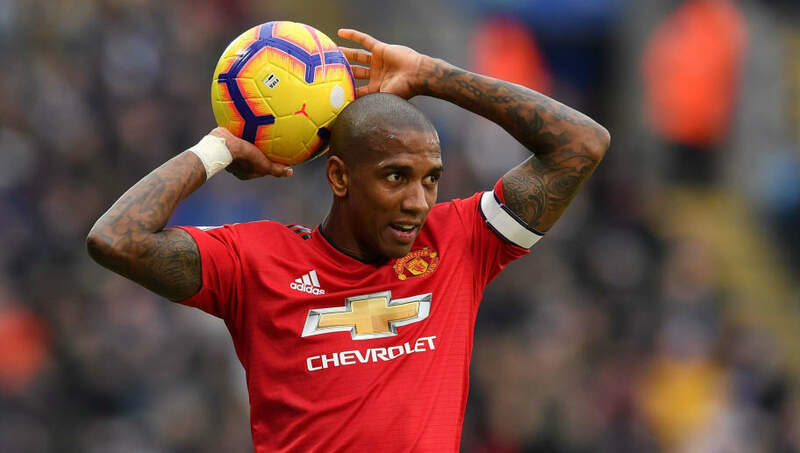 ​Manchester United star Ashley Young is set to sign a one-year contract extension to remain at Old Trafford until the summer of 2020. Young's current deal expires at the end of the season, and the 33-year-old found himself linked with a move to various clubs, both in England and overseas. However, he now appears set to commit his future to Ole Gunnar Solskjaer's side. News of the contract extension comes from ​The Daily Mail, who note that Young has agreed a new £110,000-a-week deal to remain one of the club's most influential players next season. Negotiations began in November, and ​United are expect to make an official announcement of the deal in the near future. Former boss Jose Mourinho saw Young as a vital leader in the dressing room, and this sentiment is shared by Solskjaer, who has worked alongside the senior players to transform the club's fortunes since his arrival. Young's decision will come as a blow to ​Serie A giants ​Inter who, according to the ​Mirror, were pushing to sign the versatile star on a free transfer at the end of the season. They were prepared to offer Young a two-year deal, and hoped that this commitment would be enough to convince Young to make the move to Italy. United were thought to be reluctant to offer Young a deal longer than one year, with the club instead preferring to only offer one-year deals to players over 30 years old. However, this appears to have had little impact on the negotiations, with the regular United captain having agreed to a similar extension in March 2018. Solskjaer is said to value Young's versatility highly. Since joining the club in December, Solskjaer has regularly used Young as a right-back, and he was also asked to fill in at left-back in the 2-0 FA Cup victory over ​Reading in early January. Young has been an integral part of United's side since his £17m move from ​Aston Villa in 2011. He has won an impressive amount of trophies, including the ​Premier League and Europa League, and the veteran star looks set to remain and fight to add to his trophy cabinet.